The educational PSP/TSP system provides everything needed for new users to get started using PSP and TSP. This system provides high spatial resolution, excellent dynamic range, but lower data capture rates than our higher-end systems. For applications where time in the wind tunnel is not a critical issue, it represents an excellent cost/performance trade-off. This system provides full capability for undergraduate demonstrations, training, and laboratory exercises. It will support all but the most demanding graduate and faculty research programs requiring distributed pressure and temperature measurements in wind tunnel environments. The system employs proven ISSI LED technology for excitation of the luminous probes in the paints. The camera is based on a color CCD sensor, eliminating the need for a filter wheel when using bi-luminophore paints. The OMS-Lite software package is easy to use and fully supports the educational and research capabilities of the PSP/TSP system. Focuses output of LM2 series LEDs from 120- to 40-degrees giving 2-3 times increased focused output. PSP starter kit including beginner paints in spray cans, Binary FIB and FIB Basecoat with HVLP paint gun and airbrush with compressor and fittings. This kit contains all lenses and filters needed to get started using PSP and TSP. Available with c-mount or Canon® EF mount lenses. Data acquisition and data reduction software. Lab experiments are specially designed to demonstrate PSP/TSP techniques in undergraduate fluid dynamics and aerodynamics labs or any new PSP users. Use these instruction manuals to improve your PSP/TSP knowledge and skill, and as templates for laboratory classes. Test models used in the lab experiments are provided with the the educational PSP/TSP system. 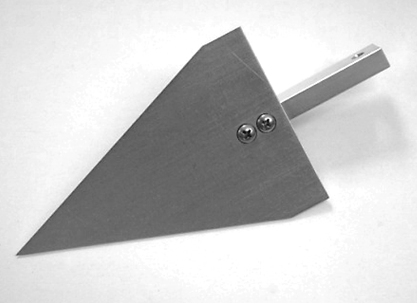 An aluminum delta wing and NACA 0012 airfoil model are included with the system along with the mounting hardware to install them for either 1/4"-20 or M6. Other models are available to purchase upon request as well as pressure tapped models. 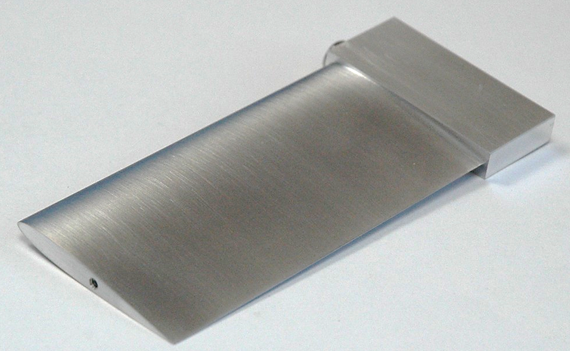 Our machine shop is capable of designing and building many complex models to meet your needs. The PSP system package has several options for purchase. Depending on the size of the facility the system will be used in, some different optical kits may be appropriate. Additional LEDs and cameras can also be added to systems and seamlessly integrated. Building a system with the appropriate hardware for your facility is paramount to the success of the results. For questions about your application, please contact ISSI for technical assistance.